Why email in the time of social media? Social media is perceived to be a broadcast message to everyone whereas email is a personal, one-to-one form of communication. We opt in with companies we want to hear from - and we opt out just as quickly if the messages we get are not valuable and on-point. Because your users choose to receive your messages you already know they want to hear from you so the battle of struggling for their attention is already won. This allows you to focus on telling your story, creating an emotional connection and developing relationships. It's cost effective too. Did you know that the average ROI (return on investment) for email marketing is $44 to every $1 spent! According to the Direct Mail Marketing Association, the ROI on printed direct mail is only $1.25 for every $1.00 spent. Like all marketing, email newsletters are best approached as a longterm practice that generates subtle results over time, but it's never been easier to begin and the list you build is like gold as your business develops. I provide a simple package to get you up & running with a beautiful, professional email newsletter. I guide you through the forest of details so you can spend more time promoting your site. I also make sure you're getting the most out of best features. A newsletter or monthly promo doesn't have to be time consuming and expensive, I can show you how to set up a system which keeps costs and time under control. 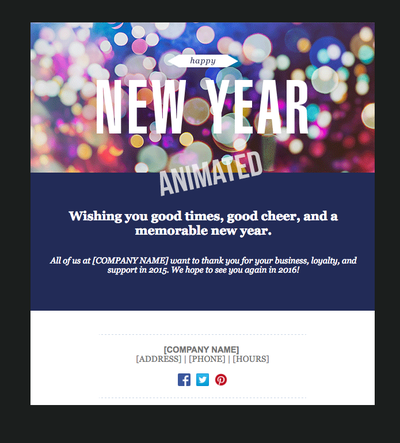 Fully branded & customized newsletter and announcement templates - Specifically designed to be easy for you to use. "Join Our Mailing List" website sign up button. Valuable Kit that includes an email marketing calendar, content ideas, best practices, and more. 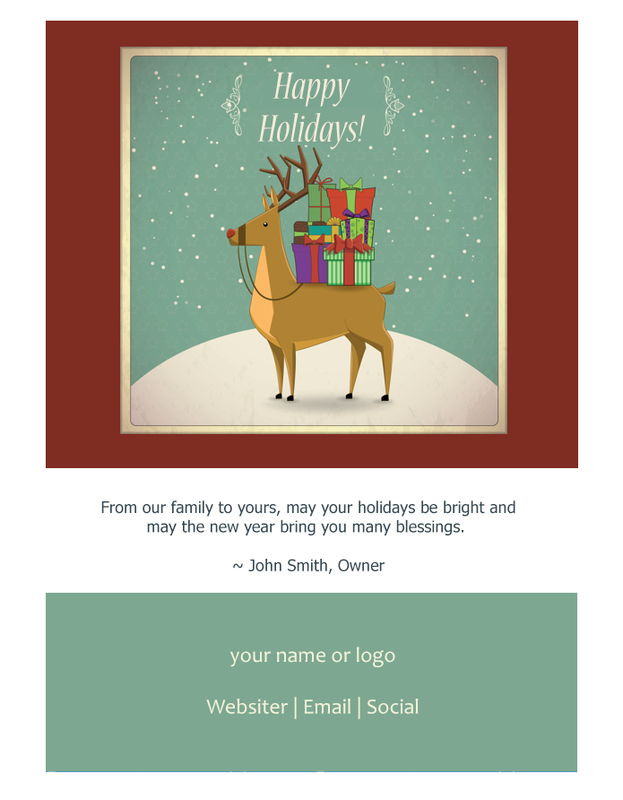 A seasonally-themed email newsletter customized with your logo, message and links. Your choice of dozens of holiday images, animated gifs and fave icons. Includes full account set up that you can continue to use throughout the year. Makes a great gift for a small business owner or nonprofit! 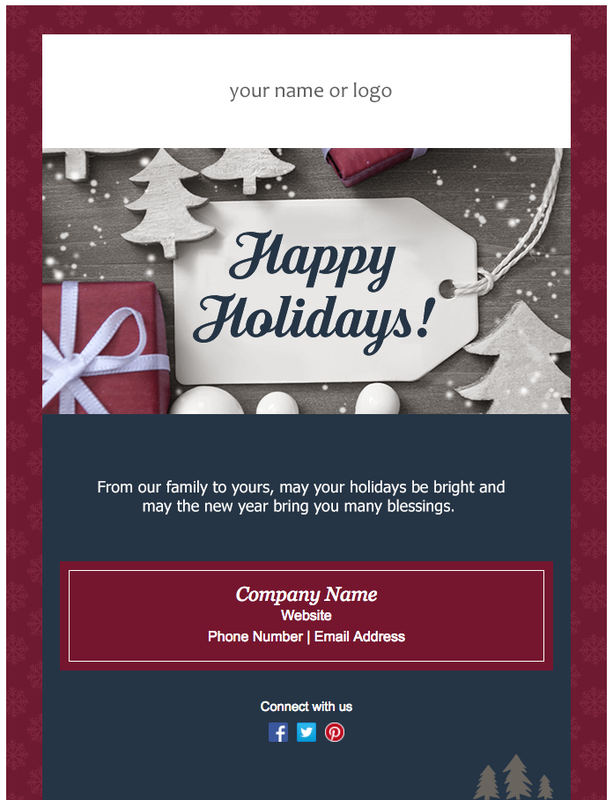 For folks who already have email marketing set up. 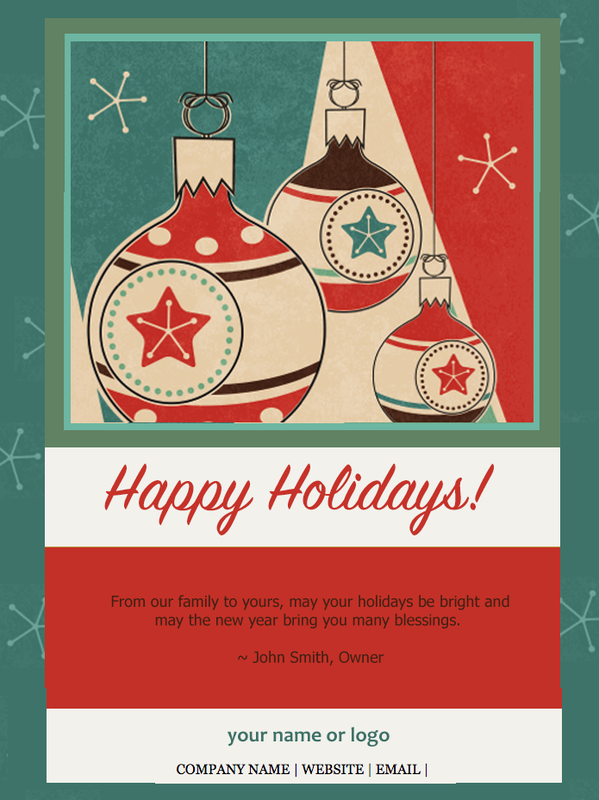 ﻿﻿﻿﻿﻿﻿Thanksgiving: There's no better time to express your gratitude to clients, donors and customers. 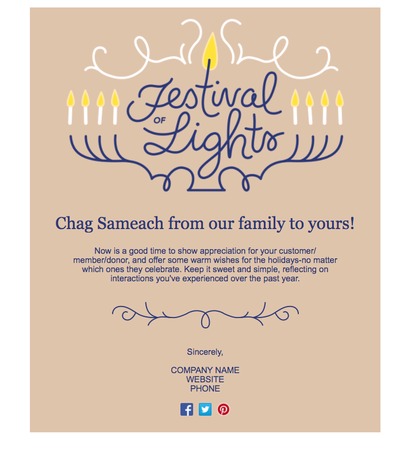 A tasteful and appropriate seasonal promo puts you top of mind and creates an emotional connection that differentiates you from your competition. Solstice, Hanukkah, Christmas, Kwanzaa, New Years: December’s festivals of light are great for hearty greetings. 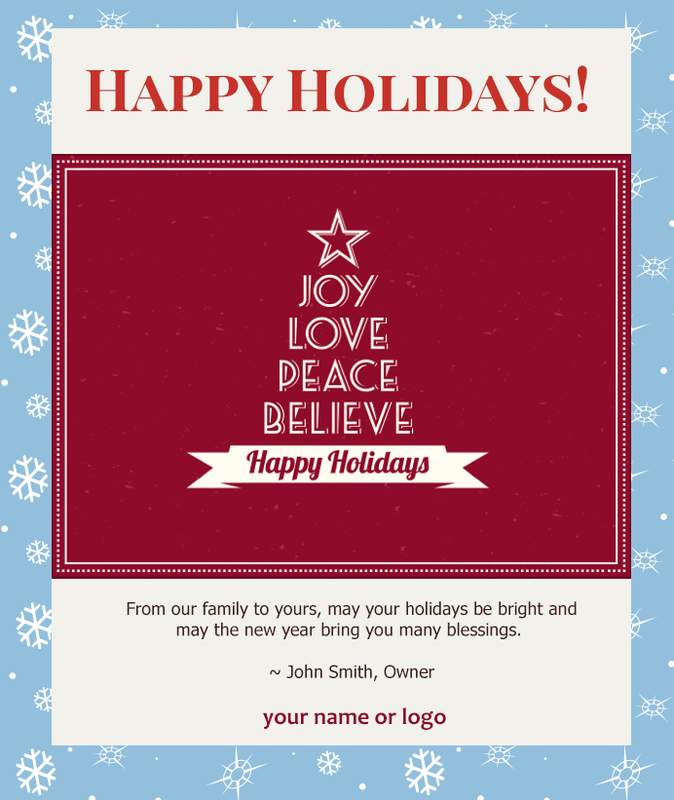 It makes good business sense to run holiday promotions that are appealing and professional. Don't miss out on the power of holiday promotions, make your site a warm, inviting place for visitors this season. If you enjoy jumping in to try things out, go for it! Constant Contact offers a free 60 trial and you will really get a sense of it's powerful features. I have used it so long that I'm proud to be an affiliate and this button takes you to their site while giving me a tiny commission. Thanks!